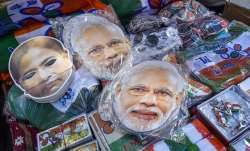 The Lok Sabha polls are just a few days away and the parties are leaving no stone unturned to garner as much as attention and affection from the crowds as possible. To this end, Rahul Gandhi is slated to address election rallies in Gujarat and Maharashtra. Meanwhile, Priyanka Gandhi Vadra, who was slated to be on a two-day visit to Amethi from today, has stalled her visit. Stay tuned to this space for live and latest updates on the Lok Sabha poll campaign. The day of electioneering today was marked by the Election Commission which barred SP leader Azam Khan and Union minister Maneka Gandhi for 72 hours and 48 hours respectively for their controversial remarks. Khan was under the poll panel's lens for making derogatory remarks against BJP candidate from Rampur, Jaya Prada, while Gandhi had told Muslims to vote for her as they will need her once the Lok Sabha elections are over. BSP chief Mayawati on EC banning her from election campaigning for 48 hours starting from 6 am tomorrow: EC has given a one-sided decision. I have been denied the fundamental right of freedom of speech and expression. This day will be known as a black day in the history of EC. 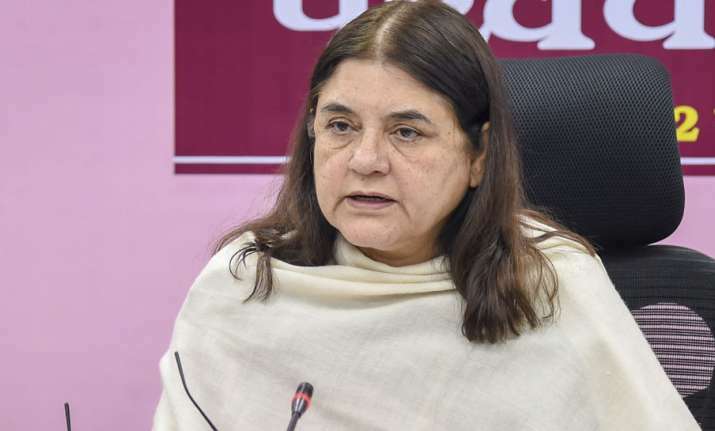 Election Commission bars Union Minister and BJP leader Maneka Gandhi from election campaigning for 48 hours starting from 10 am tomorrow, for violating Model Code of Conduct during her election campaign held in Sultanpur. The election body has also barred Samajwadi Party (SP) leader Azam Khan from election campaigning for 72 hours starting from 10 am tomorrow, for violating Model Code of Conduct during his election campaign held in Rampur. A fresh round of talks will be held between the Aam Aadmi Party and the Congress Wednesday, where the AAP will propose an tie-up in Delhi, Haryana and Chandigarh with a seat sharing ratio of 5:2 in the national capital, sources said. Senior leader Ahmed Patel would hold talks on Congress's behalf and the AAP will be represented by party leader Sanjay Singh, they said. The meeting would be mediated by NCP leader Sharad Pawar. This is the second meeting held in his presence over talks on alliance. PC Chacko, Congress Delhi In-charge: AAP is suggesting alliance on 18 seats beyond Delhi. 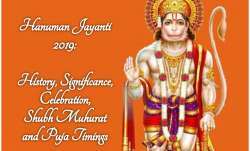 Let us come together in Delhi first. Rahul ji said our doors are open, it should be done.... Whatever decision is reached in one state cannot be replicated in the same way in other states. MA Naqvi, BJP after meeting with EC: Rahul Gandhi ji made shameful comments on Modi ji's caste and said "Why are all Modis thieves?" Modi ji comes from a backward community, people with feudal mindset have hatred towards him. We have appealed to EC to take action against Rahul ji and Congress. Congress President Rahul Gandhi on Monday said the Congress was willing to give up four Delhi seats to the Aam Aadmi Party to ensure the rout of BJP. He, however, alleged that Delhi Chief Minister Arvind Kejriwal has done a U-turn again. Rahul Gandhi, further added that his party's doors were still open for AAP. Former Goa CM Manohar Parrikar's son Utpal Parrikar writes to NCP's Sharad Pawar over his remark on Manohar Parrikar, states, "This is yet another unfortunate attempt to invoke my father's name to push blatant falsehoods for political gains. Urge you to desist from such conduct." 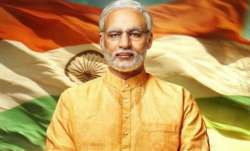 The Supreme Court has directed the Election Commission to re-examine its earlier order and take an informed decision on banning pan-India release of the biopic on Prime Minister Narendra Modi after watching the full movie. The top court directed the poll panel to take a decision by April 19 and submit its report in a sealed cover to the court. 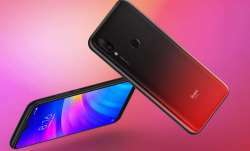 A bench of Chief Justice Ranjan Gogoi and Justices Deepak Gupta and Sanjiv Khanna said that it will consider the EC report and hear the matter on April 22. Telangana: Arvind Dharmapuri, BJP candidate from Nizamabad Lok Sabha constituency has filed a petition before Election Commission to permit him to put his lock also on the strong rooms where EVMs and VVPATs used in the elections are kept. Bharatiya Janata Party announces the list of seven candidates for Uttar Pradesh. 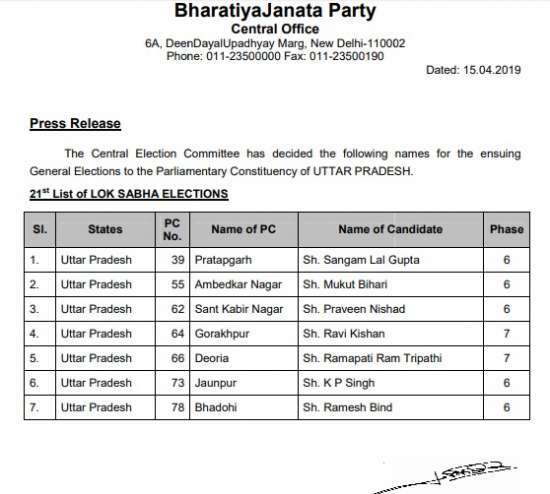 Ravi Kishan to contest from Gorakhpur and Praveen Nishad to contest from Sant Kabir Nagar (Sharad Tripathi is the sitting MP from Sant Kabir Nagar). The ruling BJP in Uttarakhand on Monday served notices to two party MLAs for engaging in a verbal spat in public. "It is a serious matter. Notices have been issued to the two MLAs asking them to explain their conduct," Pradesh BJP president Ajay Bhatt said. The Election Commssion has prohibited Bahujan Samaj Party chief Mayawati and Uttar Pradesh Chief Minister Yogi Adityanath from campaigning for the next 48 hours. The move comes after the Supreme Court had expressed displeasure with the Election Commission, having limited power to act against political leaders for making hate speeches and violating the model code of conduct during poll campaigning. Even as the opposition parties accuse the BJP of sidelining its stalwarts in the ongoing Lok Sabha election, Uttar Pradesh Deputy Chief Minister Dinesh Sharma on Monday said elderly leaders were revered only in the saffron party. "What happened to former prime minister and Congress stalwart PV Narasimha Rao after his death is known to all of us. No one had gone to pay respect to the departed soul. Similarly, former Congress president Sitaram Kesri's end was very tragic," Sharma said. "Apart from this, an office-bearer of the party (Congress chief Rahul Gandhi) had once torn a copy of a legislation passed by the Manmohan Singh government. Will they teach us how to show respect to our elders? 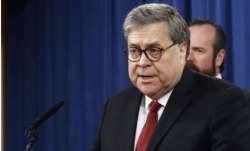 It (Congress) is a party that alienates the elderly people," he said. Former Chief Minister and PDP leader Mehbooba Mufti today said that the Bharatiya Janata Party can see their defeat in the first phase of elections. "BJP can see their defeat in the first phase of elections. They are trying to create a sense of insecurity among people, making it look like they are planning another Balakot like attack on Pakistan, so that they will get votes in the other phases of elections," she said. The Bharatiya Janata Party has asked the Election Commission to cancel Samajwadi Party leader Azam Khan's nomination, over his derogatory remarks against actor-turned politician Jaya Prada. In an EXCLUSIVE interaction with India TV, former Samajwadi Party leader Amar Singh today said Azam Khan is a person who can publicly outrage the modesty of a woman. Further commenting on Khan's derogatory remarks against actor-turned politician Jaya Prada, Amar Singh said, "Azam Khan is motivated by Samajwadi Party and can do anything." "Khan has previously also used foul language during poll campaigning," Singh said. Commenting on the scuffle that broke out between supporters of the Bharatiya Janata Party and Congress during her election campaigning, actor-turned politician Urmila Matondkar today said that there is a threat to her life. "It's being done to create fear. It's just beginning, it'll take a violent turn," she said. "Have asked for police protection; there's a threat to my life; I've filed a complaint," Urmila Matondkar said. Senior Congress leader and former Delhi Chief Minister Sheila Dikshit has condemned Samajwadi Party leader Azam Khan's remarks against actor-turned politician Jaya Prada. 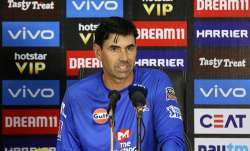 "This is highly condemnable, he owes an apology to women immediately.Its unacceptable, action should be taken against him," she said. In a letter to Chief Election Commissioner Sunil Arora, senior Bharatiya Janata Party leader Murli Manohar Joshi has sought investigation into the fake letter circulating on social media in his (MM Joshi) name. In an exclusive interview to India TV, former Samajwadi Party leader Amar Singh raised questions on Azam Khan's remarks on actor-turned politician Jaya Prada. "Why is Mulayam Singh Yadav silent on Azam Khan's offensive remark on Jaya Prada? ", Singh asked. Addressing an election rally in Uttar Pradesh's Fatehpur Sikri, Congress President Rahul Gandhi today said, "Priyanka ji said in the beginning that wherever you see, you'll find Narendra Modi's publicity." "Switch on TV - Narendra Modi, switch on a radio - Narendra Modi, walk on the roads - Narendra Modi. Where does all this money for publicity come from?" Gandhi asked. Union Minister Smriti Irani today reacted to Samajwadi Party leader Azam Khan's offensive remarks on actor-turned politician Jaya Prada. "Derogatory comments were being made on a woman and SP leaders were sitting silently," Irani said. "I urge them that politics has its own place and respect for women in India has its own," she added. Clashes errupted between supporters of the Congress and the Bharatiya Janata Party today, during Congress candidate from Mumbai North, Urmila Matondkar's election campaign at Borivali. While addressing an election rally in Uttar Pradesh's Fatehpur Sikri, Congress General Secretary Priyanka Gandhi today said that the Bharatiya Janata Party claims to be the only nationalist party in the country. "If the Bharatiya Janata Party claims to be nationalist, it should respect the martyrs and the great personalities of our country," she said. Further launching an attack on the saffron party, Priyanka Gandhi said, "Those who have prepared the base of the country should be respected." Congress General Secretary Priyanka Gandhi today addressed an election rally in Uttar Pradesh's Fatehpur Sikri and alleged that attempts to destroy the democracy of the country are being made. Uttar Pradesh Chief Minister Yogi Adityanath today reacted to Samajwadi Party leader Azam Khan's remark on actor-turned politician Jaya Prada. "This shows the thinking and culture of Samajwadi Party," Adityanath said. 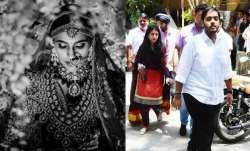 "The silence of SP chief Akhilesh Yadav his ally Mayawati, who is also a woman, is surprising. This is very unfortunate. Azam Khan's statement is extremely disrespectful, shows his cheap mindset," the chief minister said. Former Jammu and Kashmir Chief Minister Mehbooba Mufti's cavalcade was attacked by stone-pelters in Anantnag district today. The Congress party has declared Gopal Sahu as its candidat from Jharkhand's Hazaribagh for 2019 general elections. Congress leader Shashi Tharoor has been injured while offering prayers at a temple in Thiruvananthapuram and has been shifted to a hospital. Tharoor has received injuries on his head and has received 6 stitches. The doctors have meanwile said he is out of danger. Uttar Pradesh Chief Minister Yogi Adityanath today alleged that the money sent by Central government for development works in Odisha hasn't been used by the BJD government. Addressing a public meeting in Odisha's Rourkela, the chief minister said, "Money sent by Central government for development works in Odisha hasn't been used by the BJD government." "Naveen Babu's government has completely failed in implementing schemes, whether it's about providing Rs 5 lakh insurance cover under Ayushmaan Bharat or the toilet scheme," he said. The Supreme Court has made it clear that remarks made by Rahul Gandhi on the Rafale case verdict were "incorrectly attributed" to the apex court and directed the Congress President to give his explanation by April 22. The Supreme Court has asked the Election Commission to watch Vivek Oberoi starrer 'PM Narendra Modi' and take a call on whether it should be banned. The court has asked the poll body to submit its review to the court by April 22, in a sealed cover. Makers of the movie had moved Supreme Court against stay on its release by the Election Commission. 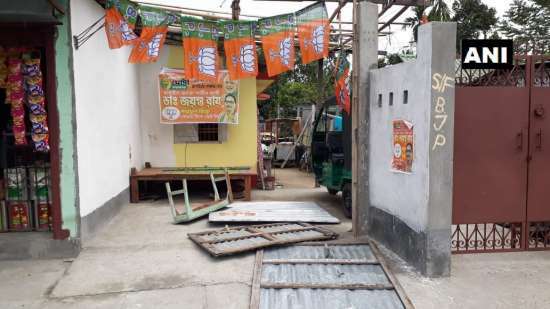 Three booth offices of the Bharatiya Janata Party have been vandalised by unidentified miscreants in West Bengal's Siliguri. The Supreme Court has expressed displeasure with the Election Commission, having limited power to act against leaders including Bahujan Samaj Party chief Mayawati and Uttar Pradesh Chief Minister Yogi Adityanath, for making hate speeches and violating the model code of conduct during poll campaigning. A bench headed by CJI has asked the representative of the Election Commission to appear before it tomorrow. The development comes as the top court was hearing a PIL seeking strict action against political parties if their spokespersons and representatives deliver speeches and make remarks along religion and caste lines. Unidentified miscreants have gunned down a local BJP leader in Odishas Khurda town, triggering protest from the saffron party. The deceased has been identified as Manguli Jena, BJP's mandal president of Khurda zone-9, the police said on Monday. The Election Commission has restricted three advertisements of the AIADMK. The move comes after the DMK had complained that the AIADMK advertisements refer to unsubstantiated claims of corruption against DMK as well as land grabbing cases and killing of Tamils in Sri Lanka a decade ago. The Supreme Court has agreed to hear on April 22, senior Gujarat Bharatiya Janata Party leader Pabubha Manek's plea against high court order. The order had set aside Manek's election from Dwarka Assembly. 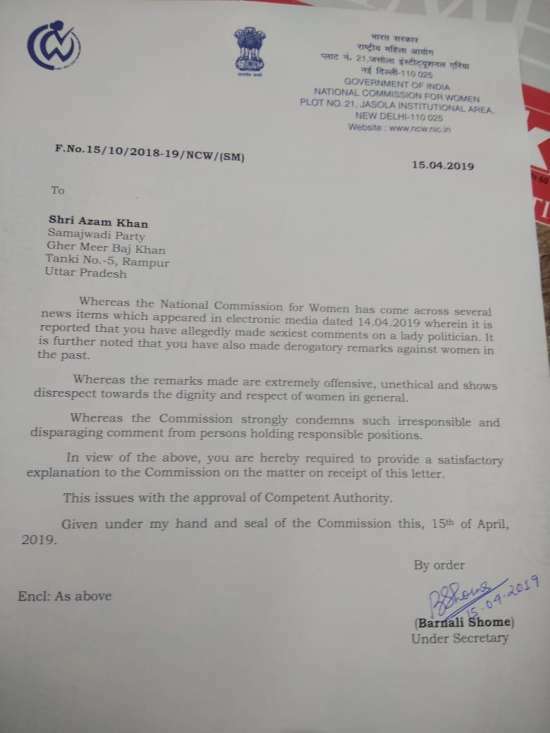 National Commission for Women (NCW) has issued a notice to Samajwadi Party leader Azam Khan over his objectionable remarks against actor-turned politician Jaya Prada, during a rally in Uttar Pradesh's rally. Actor-turned politician Jaya Prada today reacted to the objectionable remarks by Samajwadi Party leader Azam Khan. "It isn't new for me, you might remember that I was a candidate from his party in 2009 when no one supported me after he made comments against me," Jaya Prada said. "I am a woman and I can't even repeat what he said. 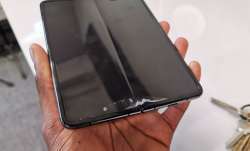 I don't know what I did to him that he is saying such things," the actor said. Commenting on Azam Khan's election strategy, Jaya Prada said, "He shouldn't be allowed to contest elections, because what will happen to democracy if this man wins? There'll be no place for women in society." 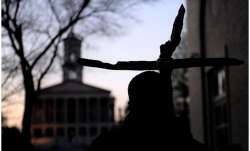 "Where will we go? Should I die, then you'll be satisfied? You think that I'll get scared and leave Rampur? But I won't leave," the actor said. Congress General Secretary Priyanka Gandhi Vadra, who was slated to begin her two-day tour to Amethi today, has stalled her visit to the parliamentary constituency. Priyanka was scheduled to hold some crucial meetings for Rahul Gandhi's election campaigning. Her visit is likey to be re-scheduled post April 18. An FIR has been registered against Samajwadi Party leader Azam Khan for his below-the-belt remark remarks allegedly against actor-turned politician Jaya Prada. 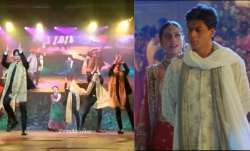 Meanwhile, ​Khan today clarified that he did not make any objectionable remarks against film actor and BJP candidate Jaya Prada, who is fighting the Lok Sabha polls from Rampur against him. Two people have been arrested for posing as Income Tax officers and collecting Rs 48 Lakh cash and DVR (digital video recorder) of CCTV from a house in Delhi's Rajouri Garden area. The police have seized Rs 22.45lakh of the duped money from their possession. Rajasthan Chief Minister Ashok Gehlot today said that armed forces and the soldiers are being politicised. "Armed forces and soldiers have always been kept separate from politics, in this country," Gehlot said. 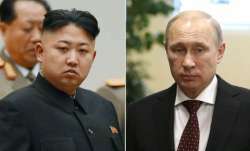 "For the first time in 70 years, they are being politicised," he added. The Election Flying squad and the Income-Tax department conducted raid at MLA hostel in Chennai's Chepauk late on Sunday. Rooms of AIADMK RB Udayakumar and 2 others were searched during the action. A case has been registered against Manda Mhatre, BJP MLA from Belapur, for violating model code of conduct. 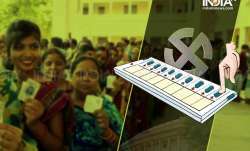 Mhatre, in Maharashtra's Navi Mumbai, had allegedly asked voters at a programme to vote twice in the polling for 2019 general elections. BJP President Amit Shah is slated to hold a roadshow in Gujarat's Banaskantha district today. Shah will also address two election rallies in Kodinar and Deesa of Gujarat. Andhra Pradesh Chief Minister and Telugu Desam Party (TDP) President N Chandrababu Naidu will be campaigning for ruling Janata Dal-Secular Congress alliance in Karnataka. On the request of JD-S chief and former Prime Minister HD Deve Gowda, Naidu will be visiting Karnataka on Monday to address few election rallies. Naidu, along with Deve Gowda and his son and Chief Minister HD Kumaraswamy, will campaign in few Lok Sabha constituencies, especially those having ​sizeable Telugu-speaking people, TDP sources said. Congress General Secretary Priyanka Gandhi Vadra will hold a roadshow in Uttar Pradesh's Fatehpur Sikri today. She will be accompanied by party President Rahul Gandhi and UP West incharge Jyotiraditya Scindia. The trio is expected to hold a roadshow in support of Congress candidate Raj Babbar. The three are also expected to address joint rallies in Aligarh and Nagina Lok Sabha seats. All the three seats (Fatehpur Sikri, Aligarh and Nagina) in Uttar Pradesh will vote in the second phase of Lok Sabha elections on April 18. The counting of votes will take place on May 23. Congress President Rahul Gandhi is slated to address rallies in Gujarat and Maharashtra today. Gandhi will address a rally in Rajula town under Amreli Lok Sabha constituency in Gujarat. President of the Tamil Nadu Rekla Club, RS Thirumugam, campaigns on a bullock cart in Tamil Nadu's Coimbatore in support of AIADMK alliance, ahead of 2019 general elections. Congress general secretary in-charge of eastern Uttar Pradesh Priyanka Gandhi Vadra will be on a two-day visit to Amethi beginning Monday. Anil Singh, spokesperson of the Congress' Amethi unit, on Sunday said Priyanka Gandhi is scheduled to arrive in the district Monday evening. Priyanka Gandhi is the Congress' big hope for the 2019 Lok Sabha elections and is trying to revive the party's fortunes in Uttar Pradesh, especially in the eastern part of the state.